How many times have we come out of an interview feeling like we nailed the job, that we really sold ourselves, and are certain we’re the number one candidate? Then the phone doesn’t ring or we are called and told that another candidate was chosen. We can tactfully ask why we weren’t chosen, but this can be uncomfortable, and most times we won’t get a completely truthful answer. It’s surprising how many of us lack self-awareness during the interview process and literally talk the prospective employer away from offering the job. This can leave us feeling completely mystified over why we weren’t chosen or even called back. Being rejected over and over again can add fuel to the pain of rejection, as well as to the anguish the financial strain can eventually cause. We may go on unwittingly repeating the same mistakes, having no idea that we are doing this, and find ourselves taking any job we can get just to survive. Unfortunately, we don’t have anyone coaching us when we’re in an interview. It would be much easier if we were being secretly videotaped and could be critiqued at a later time. When job interviewing, we have to rely on our own strengths, and it’s helpful to master the language of communication before the first words are exchanged. Contrary to what we may believe, there are no right and wrong answers to our opinions when it comes to the interview process. We’re taught early on that our opinions are something to be valued, something there is no right or wrong answer to. Experience has shown that this is not always so in the business world. The following examples can help you when your prospective employer launches into the typical interview questions. Some of the answers may seem silly and outlandish, but they have been said on interviews. Again, as stated above, there is no set way of tackling this question. The best thing to do here is to give a brief introduction about yourself and then move on to provide the basic details about your previous positions and any significant achievements - don't go into too much detail - just a brief overview. 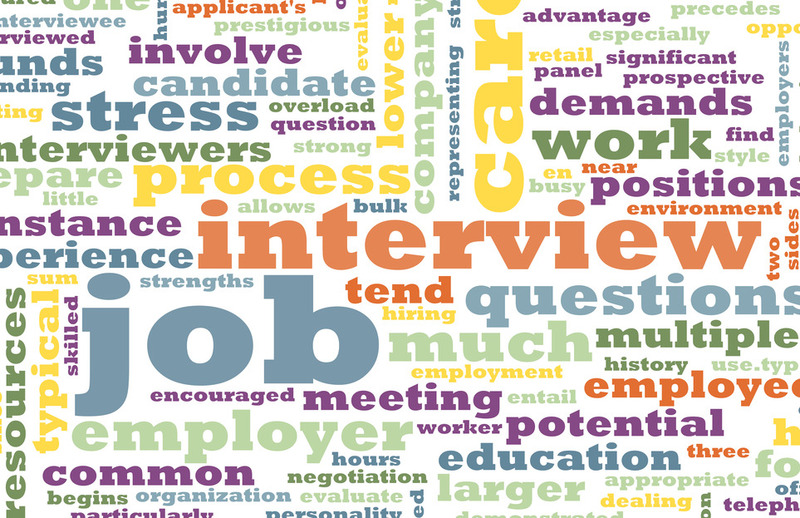 Read our blog for advice on 'teamwork' interview questions. This is one of the most common questions you will be asked and no doubt, have already been asked in previous interviews. 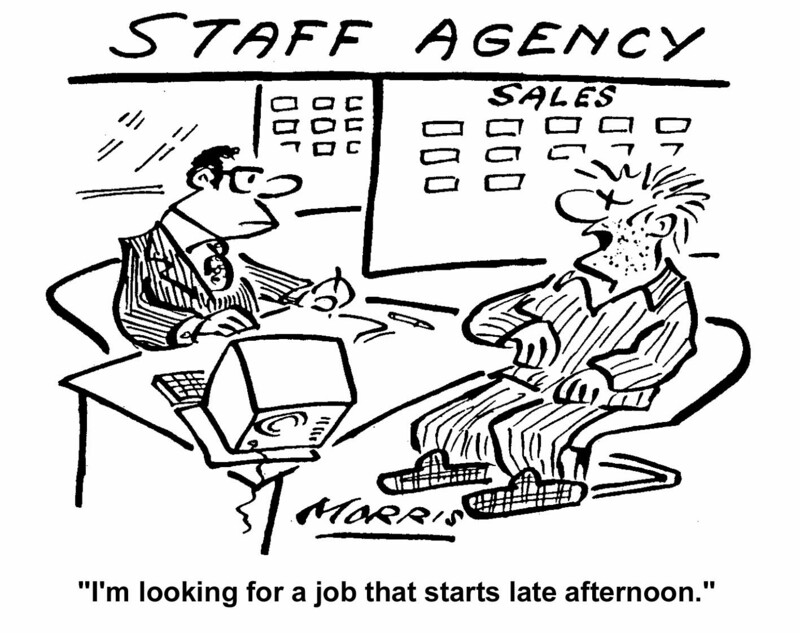 You have to remember here - try to give an answer relevant to the position you are applying to. The interviewer is trying to find if your strengths match the job. For example, if you are applying for a job where accuracy is an important issue, one of your strengths could be that you have an eye for detail. Again, another common question and 99% of the time you will have been asked this before. A common mistake to make when answering this question is saying something negative like "I am shy". Use this question to your advantage by actually turning a negative into a positive. For example, "I need to improve my typing skills and to combat this I have recently enrolled on a typing course". This will show you can identify your weaknesses but at the same time, you are willing to improve. Finally, and most importantly: do not mention a weakness that is any way related to the job you are being interviewed for! This might sound obvious but it is a common mistake! All too often, this question is answered the same "I enjoy music, socialising and reading". If possible avoid using this type of answer. Instead, try to aim your interests some-way to the job you are applying for. If you have done some voluntary work this may be good to mention. When answering this question make sure you do not give a negative answer. For example, "I did not get on with my boss" or "I did not agree with the way the business was managed" - this will make you sound negative and will greatly reduce any chance you have of being offered the position. If possible, try to answer the question so it shows you are looking for career progression. Also, if you were made redundant - say so. There is no reason to hide this fact! I had very flexible hours. He/She was usually travelling or in meetings. My last boss was a multi-tasker who entrusted the details and arrangements of her day to day business activities to me. My last boss actively involved me in those projects where my expertise would make an impact on the business at hand. My last boss used me as a liaison between herself and other business partners. Again, everything we liked about our last boss relates to a mutually beneficial relationship with the focus being on our helping to meet an objective or solve a problem. I definitely don’t want to be in the same position I’m applying for now (this is the worst major mistake you can make). I see myself having refined my current skill set, developed new ones, and having expanded on one or two key areas for future positions. I see myself in a management position. It is my goal to contribute now in a mutually beneficial way, build on that experience, and advance to a management role in accordance with the needs of the company. This is an opportunity for you to show the interviewer how enthusiastic you are about the job / industry. Try to think of an answer that shows your interest in the job. No doubt you will be asked this towards the end of the interview. Make sure you do ask a question as this shows your seriousness and interest in the position. Maybe you could ask about how you will be trained for the position. Do not ask about salary or holidays though!!! Even though circumstances in our personal lives may have motivated us to seek this opportunity, the interviewer should not be privy to that, as it is at least partially implied just by our applying. No employer wants to feel like they are interviewing us to fill our needs, when we are there trying to show them that we can fill a need for them. The key thing to remember is that a person’s perception is their reality. An interviewer is picking up on words, body language, level of confidence, and attitude. A candidate who wants to give to the company vs. take whatever the company has to offer becomes very obvious in an interview. It’s critical to deliver the correct message. Practicing and role playing before an interview can be a great help, as many times we don’t realise how we are really being perceived. Feedback from a colleague or good friend can help us formulate answers to those tough interview questions. It’s also good during this type of exercise to reverse roles. By practicing as the interviewer, we can see the interview process from a different perspective. We can also better recognise “wrong” answers when we hear them and how they can change our perception of our role playing candidate. With a little bit of practice and refinement, this can change the outcome on future interviews and lead to greater career fulfillment and success. "If you want to use the services of professional CV writers, try speaking to the guys at The CV Store"